Repair leaking faucets and toilets promptly. The investment will pay you back in savings. Don’t let water run when you shave, brush your teeth or wash your face. Completely fill your dishwasher before running it. If you have a fish tank, use the dirty water from the tank on your house plants. It’s rich in nitrogen and phosphorous, which are good fertilizers. Select the appropriate water level for the size of your load of laundry. Whenever possible, wait until you have a full load of clothes before you run the washing machine. If you have a pool, cover it. Evaporation can make hundreds, even thousands, or gallons of water disappear. Covering the pool will cut the loss by 90 percent. Hosing down your driveway for five minutes wastes 25 gallons of water. Clean it with a broom or blower instead. 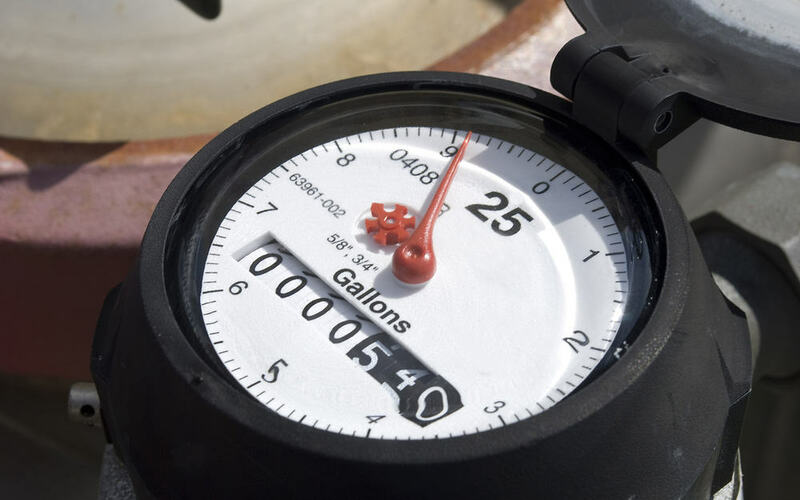 Water your lawn no more than once every five days, before 10 a.m. or after 7 p.m. to avoid excessive evaporation. 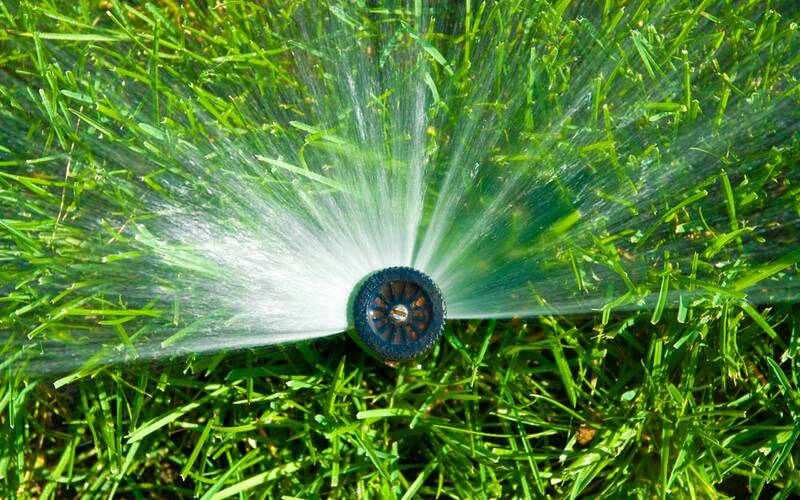 Set sprinklers at a slow delivery rate to prevent run-off, and avoid watering the street and sidewalk. Cover all exposed pipe with insulation material that can be purchased at a building supply company or hardware store. Check your foundation and fill any cracks or holes that may allow cold air to penetrate where the water pipes are entering the house. If temperature falls below freezing for 12 hours or more, leave the cabinet doors open below your sinks so warm air can circulate, and allow the faucet farthest from your main water valve to drip slightly. 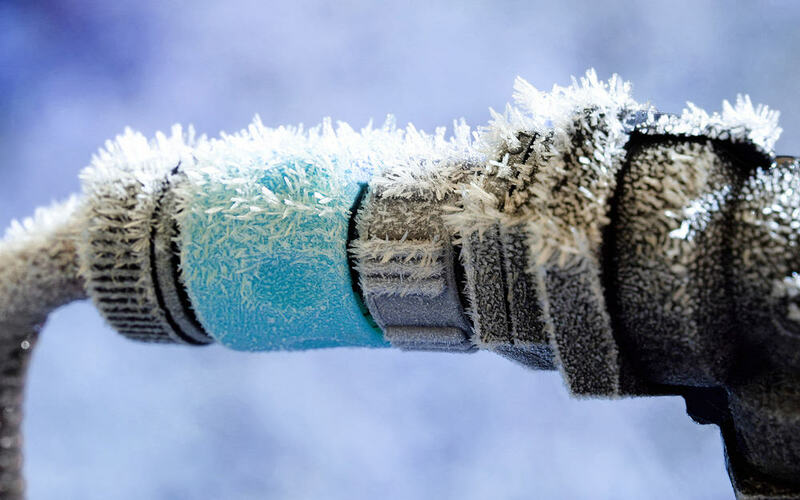 If your water goes off due to frozen pipes, shut your water off at the main water valve to prevent water damage when the pipes thaw out. Make sure outside faucets are covered with an insulating material. If you suspect a silent toilet leak, put 10 drops of food coloring in your toilet tank. Don’t flush for 15 minutes. If the colored water shows up in the bowl, the tank is leaking. To see if the stopper ball is worn, flush the toilet and rub the bottom of the stopper with your hand. If the color rubs off or the rubber crumbles, replace the stopper ball. If you need to jiggle the handle to stop the water running after a flush, the stopper is not closing properly and water is flowing continuously.